This is all happening in realtime as I post, but here goes. 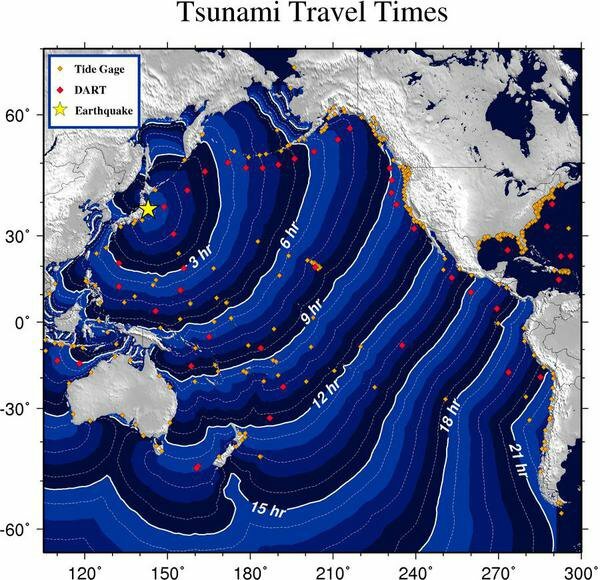 Forecast map for tsunami travel times generated by Japan’s 8.9 earthquake of 11 March 2011. 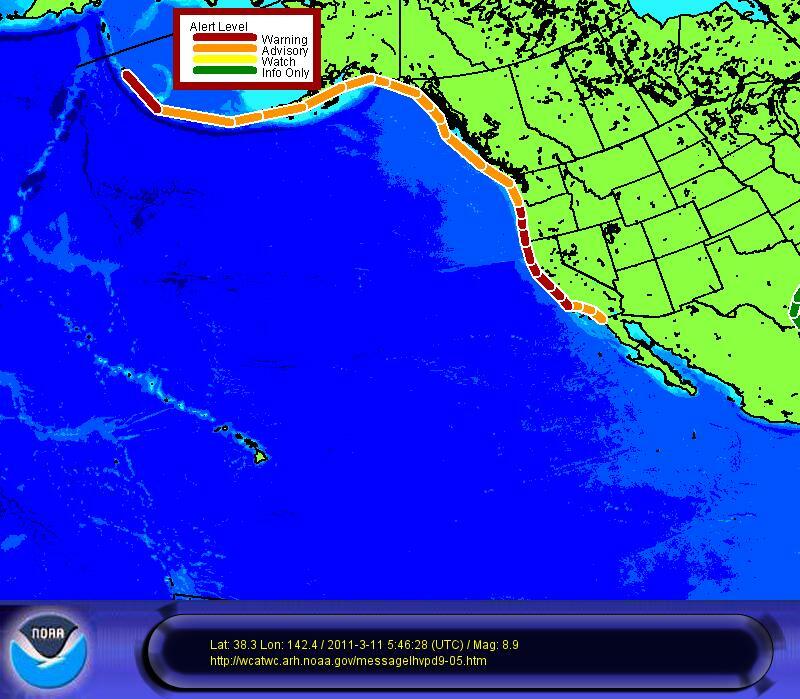 Warning and advisory map via NOAA’s West Coast and Alaska Tsunami Warning Center. 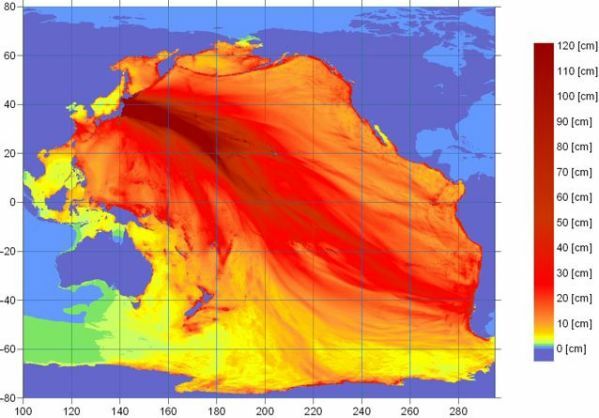 Tsunami energy map. Via NOAA’s West Coast and Alaska Tsunami Warning Center. Centimeters to inches conversions here.